If you have been enjoying laboratory work in school but you want to take it a big step further towards a medical career, then a career in pathology is worth consideration. Pathologists are medical doctors who specialise in diagnosing and treating diseases through laboratory methods. A pathologist can work in one or more of several main areas. They may work specifically in diagnostics, or they may work as teachers or even as investigators. Pathology as a field covers the combining of clinical data with laboratory studies. In a hospital or a scientific laboratory, a pathologist will work as a consultant doctor, where they use specialised knowledge of body tissues and laboratory analysis to aid in diagnosing and treating patients. Pathologists who function as science educators will share their expertise of medical conditions to their co-workers, students and any other relevant health professionals who can provide their skills to patients. 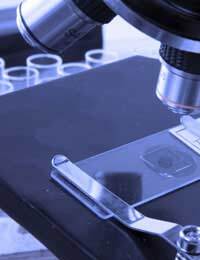 Not only that, but pathologists can also work as scientific investigators, where they utilise laboratory techniques and information in clinical research studies, formulation of disease models and various experiments to help improve our understanding and treatment of diseases. Another newer branch of pathology is the field of computer forensics guided by a pathologist. Forensic pathology involves the determination of death and is often a part of criminal justice cases. Pathology is extremely well suited to someone who likes computer forensics and has an analytical, logical and investigative mind and way of thinking. If you're a natural problem solver, then pathology would probably be a wonderful fit. If you also enjoy being at the forefront of technology and related applications along with learning new things on a daily basis, then you may be an even better match for a career in pathology. Pathologists work across many areas of medicine – genetics, anatomy, biochemistry and many others. They build upon established research to advance medical knowledge and treatment. If you think about it this way, pathology is actually a science specialty in medicine that forms the groundwork for virtually all types of medicine. A pathologist uses what we already know about laboratory medicine and then solves problems that are present in clinical practice. Given how broad the field of pathology is, a pathologist can specialise further by choosing a more refined specialty. You might prefer working in hospitals or perhaps in research and education while other pathologists will focus on academia or clinical pathology. As such, pathology can satisfy the career demands of flexibility and variety in work. If you choose to work as a pathologist, you can feel the satisfaction of knowing that your skills and work provide an important foundation to the diagnosis of disease, science knowledge and the improvement of patient outcomes in health. You may also provide valuable knowledge to the field of forensics in cause of death cases or provide important expertise in the area of computer forensics. What is a Pathologist's Daily Workload? If a pathologist chooses to work as a consultant, they would likely be contributing to the daily care of hospital patients. Their work would involve the provision and interpretation of data produced in the laboratory, which allows a pathologist to guide the primary doctor who is treating the patient. Some diagnostic and management tests have become so complex that a doctor will rely on a pathologist to provide direction for the patient's case. In this sense, a pathologist acts as a sort of 'textbook' reference to a doctor. A doctor can receive support and direction for a more complicated patient case, particularly when it involves interpretation of laboratory data. Some pathologists will also supervise laboratories, which means they are a key point of contact for laboratory technologists and other workers. On top of that, they play a role in the development of quality assurance programs in hospitals and private health care institutions. They may even sit on committees that involve policy-making at the national level. Research pathologists are in a skilled position because they have extensive knowledge on the clinical aspects of medicine but they are also well-versed in the molecular and laboratory models of disease. Through research, pathologists will advance our understanding of medicine and pave the way for the prevention and treatment of disease. In the context of education, pathologists share their broad range of knowledge and expertise with their colleagues while also training students and other hospital or private care staff. If you are fascinated by disease, particularly from the laboratory and diagnostic approach, then a career in pathology could be a good choice. In school, you should take as many science courses as possible, including laboratory based ones. Also important is your ability to speak clearly and accurately about disease to students and professionals. If you enjoy working in a more 'behind the scenes,' style with laboratory professionals, physicians and other specialty doctors, then look into a career as a pathologist.